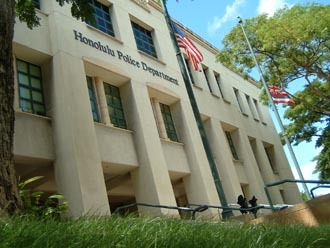 HPD Firearms Registration: 801 South Beretania in downtown Honolulu. 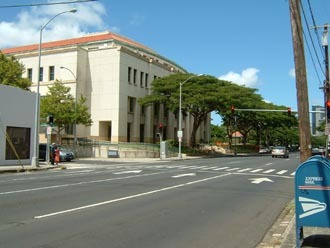 Metered street parking is available on the left side of Beretania after 8:30 am; 20 min per 25 cents. 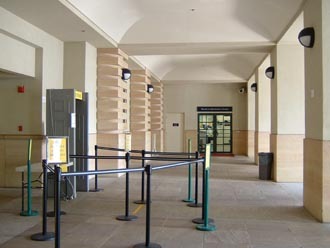 Metered underground garage parking limited stalls, enter behind HPD building; 10 min per 25 cents. 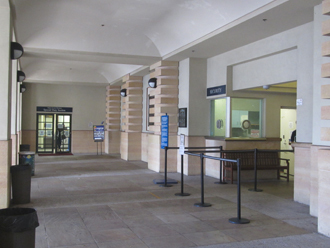 main entrance/metal detector, newly opened section would be to your left, registration on right. 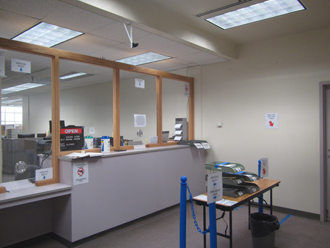 No firearms are allowed in the new section for paperwork processing. 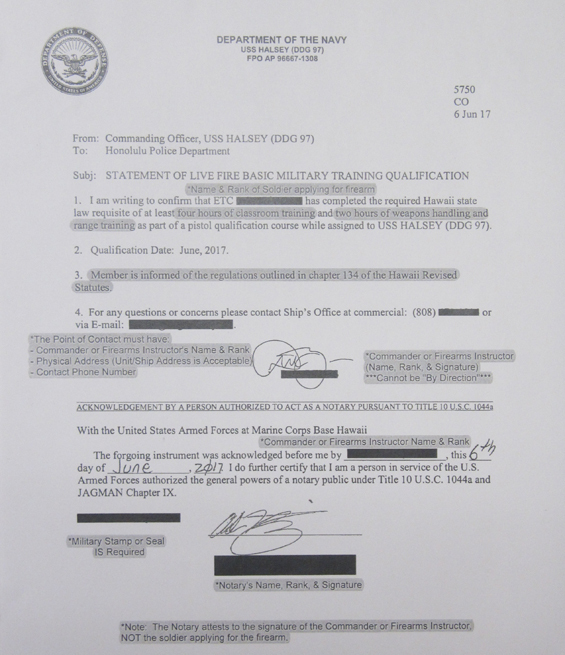 What prevents one from owning and registering firearms? 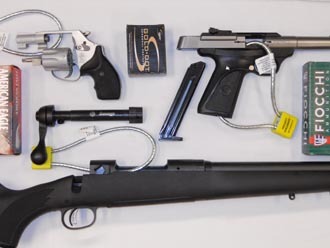 If bringing firearms with you from another state: simply go to HPD with valid photo ID and register guns. Bring unloaded guns in hard/soft cases, ammo and magazines not needed, show guns clear at window. 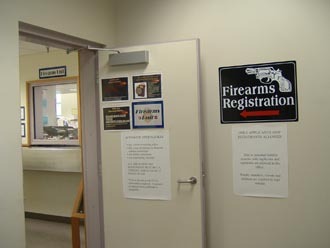 and valid picture ID back to firearms unit to have long gun(s) verified and registration forms completed. Before asking local shops if particular documents are ok - check with HPD - they make the determination. Hard sided cases as above must have lockable ends - running a padlock thru the holes would be required. 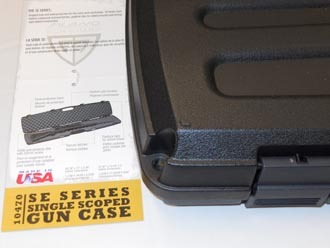 TSA's requirement: case edges cannot be capable of being pulled open where contents could be removed. 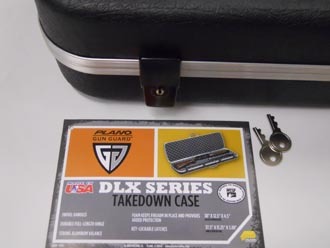 Hard cases with locking latches are a good solution to avoid having to buy separate padlocks. The extra measure of running cable locks thru firearms that are stored in locked cases is optional. Ammunition (generally 11 pounds maximum weight) must be in original boxes such as shown above. 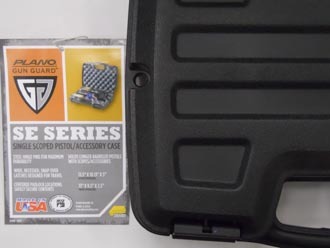 Handgun cases put inside of suitcases requires the outer suitcase to be hard-sided (not canvas, etc).